Last week the UK’s most recent immigration statistics were released. The same article reported that ‘business is concerned about the fall in arrivals from the EU, and emigration of EU nationals, which is already contributing to skill shortages’. The implication was that those with the skills and labour we desperately need were shunning us for more attractive destinations. Let’s be clear, the 74,000 figure was of 74,000 more EU nationals arriving than leaving in the year to June 2018 – hardly a Brexodus – a number that equals three-quarters of a million people in ten years; and that is without taking into consideration future births or dependants joining them. This narrative may have suited the government, because it helped divert attention from the painfully high non-EU net migration figure of a quarter of a million also reported, which happens to be the highest for 14 years. Possibly, it also sat comfortably with what the government has in mind for a post-Brexit immigration system. It was also rather a neat fit for the withdrawal deal. The Prime Minister and those backing the EU withdrawal deal have, after all, been busy selling the ending of free movement as a major achievement of their negotiations with the EU. Leaving the EU (the single market) as promised in the Withdrawal Agreement would mean a formal end to our obligation to free movement of labour. But the Prime Minister’s subsequent statement that ‘Free movement will come to an end, once and for all, with the introduction of a new skills-based immigration system’, was far from the complete picture, to say the least. Cabinet papers leaked last week to the Telegraph detailed the Government’s post-Brexit immigration plans. If reported correctly by the Telegraph, these plans, contrary to Mrs May’s promises, will largely squander any benefit gained from our departure from the EU. Far from reining in the uncontrolled flow of lower-skilled workers from the EU after free movement ends, they reveal the free flow of cheap labour from the EU will continue. It would appear therefore that the government, after massive pressure from the employer lobbies, have caved in and even have in mind, post-Brexit, the possibility of throwing the net further, beyond the EU. This no doubt would keep the Treasury happy while at the same time providing the necessary sweetener to the most vocal of business lobbies. The dishonesty is that not only will this allow unlimited access to cheap labour for business to continue but that it will also, ostensibly, reduce net migration. 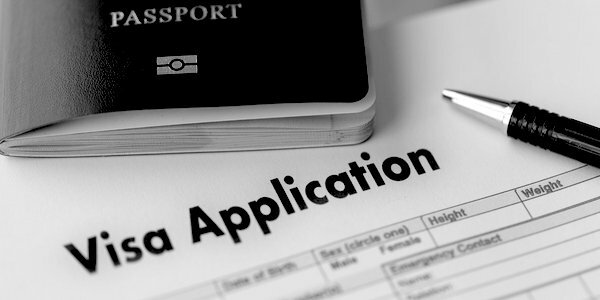 The offering of 11-month visas for those wishing to work in lower-skilled occupations will, in effect, result in the fiddling of the immigration statistics. Let me explain. When passengers arrive in the UK, a sample are asked whether they plan to remain in the UK for a year or more. If the answer is yes, after further questions, they are included in the statistics as migrants. Anyone coming for only 11 months is not counted as a long-term migrant. Such a system will mean in effect that the 80 per cent of EU nationals who would now be counted as migrants because they were coming for indefinite periods will sail through as short-term workers and would not be included in the figures. They would disappear from the net-migration statistics in a flash. Employers will be mollified and the books cooked in one fell swoop. A previous scheme for short-term lower-skilled workers in the hospitality sector was abandoned in July 2005 when the Home Office found it was being used to facilitate illegal immigration. Who is to say the same would not happen again? An additional complication with the scheme, even if it has been devised with the EU in mind, is that the Government have said that post-Brexit all applicants – EU and non-EU citizens – will be treated in the same way. The potential for attracting would-be migrants from countries whose citizens already pose a high risk of overstaying their permitted time and going to ground is likely to go up significantly. Such workers joining the existing stock of illegal immigrants, estimated to number about one million, would only add to the workload of the border control and enforcement teams. The Home Office already lacks the resources to track down those with no right to be here, let alone to remove them. In the five years to April 2017, resources devoted to border control fell by 20 per cent. I began with last Thursday’s migration figures, which were spun in a way that implied EU workers were no longer coming to the UK and that those here were looking to leave. One commentator and employer after another voiced the view that we would be mad to stem the free flow of workers, including lower-skilled workers, from the EU post-Brexit. Well, let us ponder a moment and take a reality check, as the BBC is fond of doing. Firstly, and I apologise for repeating myself but it is important, more EU nationals are coming than are leaving (74,000 to be precise). Secondly, there is little evidence that many of those settled here and doing jobs which, invariably, pay a great deal more than may be earned in, say, Poland, Romania, Spain, Slovakia, Portugal or Greece, are leaving. Thirdly, unemployment in these countries and especially youth unemployment is way higher than in the UK. Of course, employers recruiting in such countries (let alone in Africa or the Asian sub-continent) will find an abundance of workers willing to take jobs paying a fraction of what British workers need to be earning. Incidentally, recent Migration Watch research showed that there were some four million people who were looking for work or able and wanting to do more work. No, there is no Brexodus, and the last thing that is needed, if the government is really serious about reducing immigration, is an 11-month visa scheme. It may serve to keep business and the Treasury happy but most voters will see it as being taken for a ride.